Camping is one of the most popular outdoor activities Americans do for fun. The industry includes “traditional” camping (in a tent at a campground,) as well as the use of a huge variety of recreational vehicles. The estimated national revenue of campgrounds and RV parks in the U.S. was $5.8 billion in 2015. During that same year, more than $2.5 billion was spent on camping equipment – mostly on backpacks and sleeping bags. Just five years ago (in 2012,) participation in camping in America was at an all-time low, primarily as a result of the extended recession and the fact that the slow recovery affected the hotel industry before trickling down to campgrounds. At that point, there were still about 40 million Americans involved. 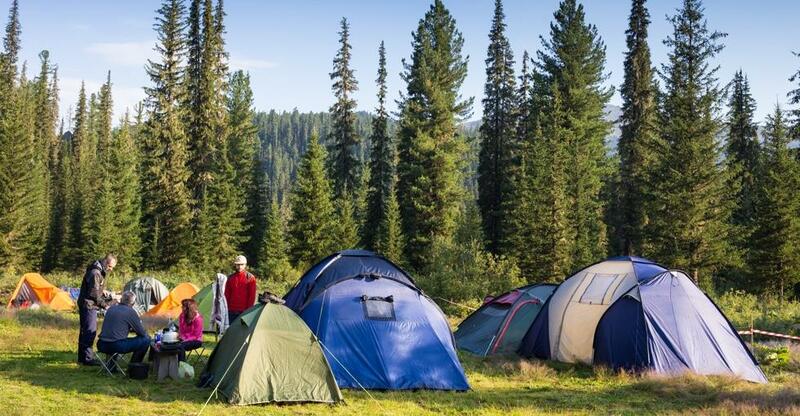 By the spring of 2016, however, about 45.6 million respondents to a national Nielsen survey reported camping at least once in the previous year. As to what attracts these tens of millions of campers, RVers, and backpackers to the nation’s campgrounds, the same survey confirmed that most of them camp to relax and escape daily life. Providing a sharp contrast to the increasingly urban lives of most Americans, camping in any form offers a connection to the great outdoors that’s becoming rarer these days. It also offers a great opportunity to explore a rich and diverse variety of natural wonders available across this huge country. Finally, camping is so popular because it’s an affordable vacation option when compared to timeshares, hotels, or condo rentals. Recreational vehicles are also a popular way to camp, (although not quite as popular as tent camping, since purchasing and operating an RV is quite a bit more expensive). They offer an enjoyable compromise for campers who aren’t fond of truly “roughing it”, but who still want to enjoy some outdoor recreation, since RVs include home comforts like kitchen facilities and beds. Wholesale RV shipments reached 381,000 in 2016, generating between $16 and $17 billion. The bottom line of all these statistics is simple: camping, in its many forms, is — and will continue to be — a popular pastime for Americans. As a result, it’s an excellent industry for entrepreneurs considering starting new campgrounds and/or buying existing campgrounds and RV parks as a business investment. Purchasing a campground that is already running successfully can provide a stable and sustainable income, making it ideal for risk-averse entrepreneurs, retirees, and investors alike. At the same time, it offers a unique opportunity to join a large and active community of people who enjoy outdoor sports, as well as the flexibility and time to indulge in an active lifestyle. To enjoy those benefits, though, the best option is to purchase an actively successful campground for sale. As long as the business itself is running smoothly, the current owner(s) will often be willing to arrange a transition period during which they can teach you all you need to know to take over running the campground. Of course, buying an existing campground or RV park isn’t automatically going to be simple and problem free, even if it is running smoothly. But it does tend to be easier than the alternative. That being said, many true entrepreneurs can’t imagine any other route besides starting a campground or RV park from scratch. That way, you have the freedom to develop it into your dream outdoor destination. Realistically, though, starting any business from scratch involves a significant measure of risk, and starting a campground is no different. The ramp-up period — during which the initial investment for land, development, and supplies needs to be paid up front or financed — coincides with the period when marketing efforts require the most time and money. Finding and purchasing ideal land - this can be difficult because quality land is becoming increasingly scarce across the country and each local, regional, and state authority may have its own regulatory and zoning requirements to get the property set up for use as a campground. Setting up all necessary infrastructure - this requires significant time and expense for campground owners because even the most rustic of camping and hiking amenities will likely require a minimum of electrical, plumbing, and sewage utilities installed to comply with commercial regulations. These will often need to be installed deep in the woods, perhaps miles from existing lines. That all being said, starting a campground from scratch can be an incredibly satisfying accomplishment for an entrepreneur who loves the outdoors. There’s no reason to reject the option out-of-hand, especially if a uniquely positive circumstance presents itself. Whether you choose to start from scratch or purchase a running campground, the best thing you can do is to speak with people who have run their own campgrounds and RV parks successfully. Get a feel for the reality behind the statistics and your own impressions of the industry. If you love running a business and you love the great outdoors, owning a campground could be your entrepreneurial dreams come true. This article gives you tips on how to run a campsite well in South Africa. Its the ideal time to sell your campsite and cash in on the rise of tourism in South Africa.